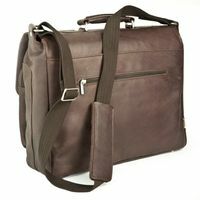 The exclusive messenger bag is handmade out of wonderful matte shimmering cow Nappa leather and features high quality lining. 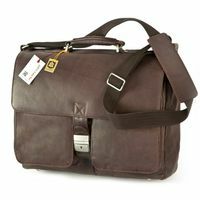 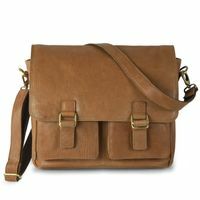 The noble leather bag has got a padded laptop compartment for computers up to 15.6 inches. 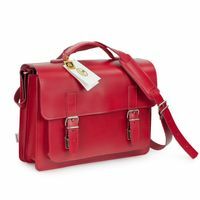 Alongside to a laptop, a wide A4 folder or more A4 documents also fit into the beautiful satchel. Smaller items fit well into both front pockets. 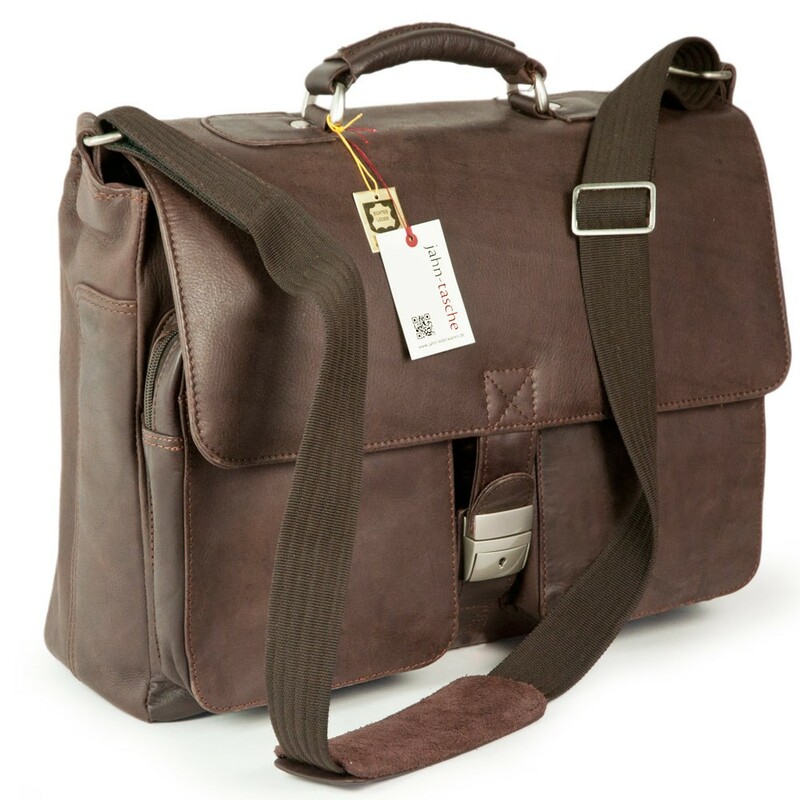 The briefcase is lockable and fits on a trolley. An exceptionally chic shoulder bag for school, university and work which stands out by its simple elegance and that definitely doesn’t only look good on business trips – you will see! 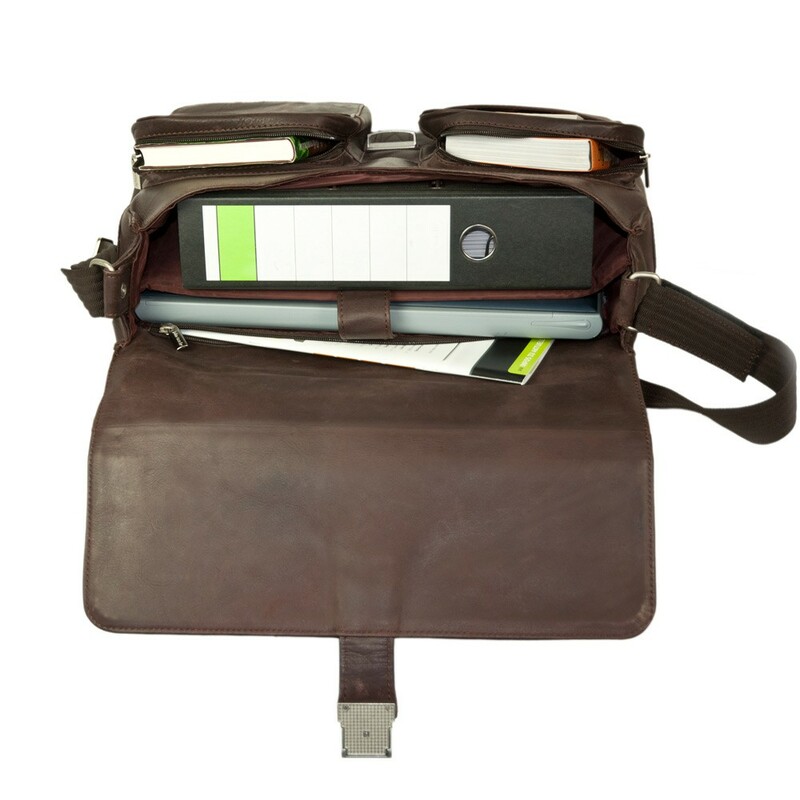 The large, 10 cm deep main compartment fits a wide A4 folder easily. 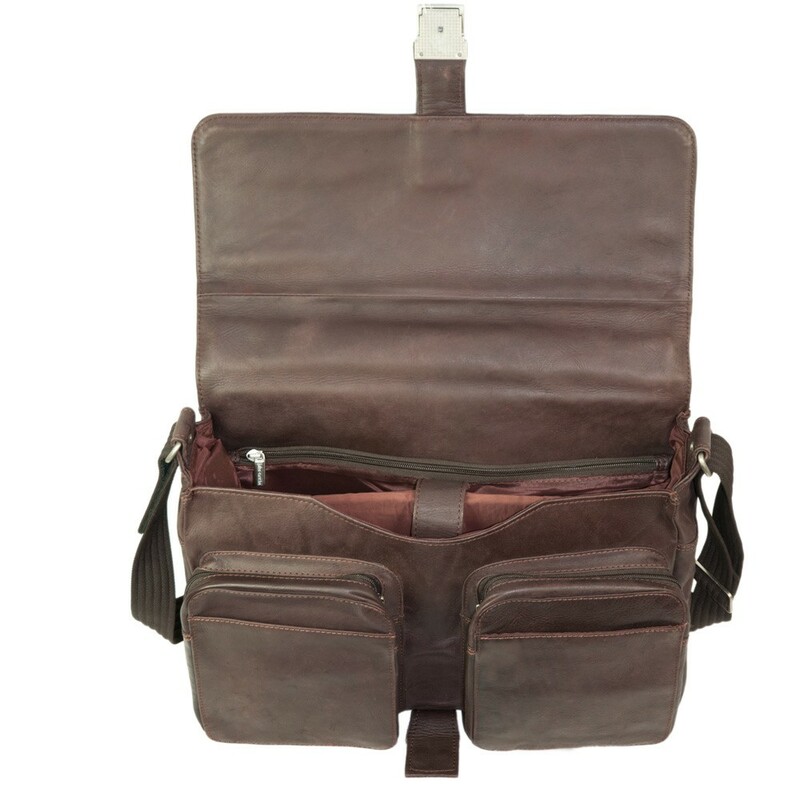 There is a well-padded laptop compartment with a strap to secure extra for your 15.6 inch laptop. 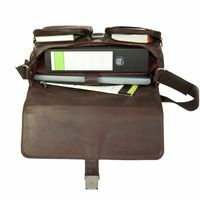 The zip pocket on the inside lining has got space for other narrow A4 documents. 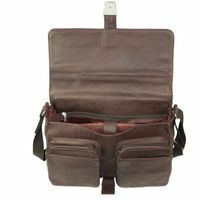 Both exterior pockets in A5 format, which are equipped with a zip pocket and a small flat pocket each, feature enough room for smaller items like e.g. mobile phone, glasses, wallet and tissues. 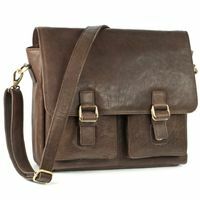 A reinforced bottom panel and metal studs make sure that you can set the bag down without damaging it when you’re out and about, an adjustable, detachable shoulder strap makes carrying easier. 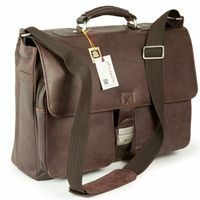 Furthermore, there is an extra practical sleeve on the back side of the leather bag where cannot only stow the newspaper quickly, if needed you can also put the laptop bag on a trolley.